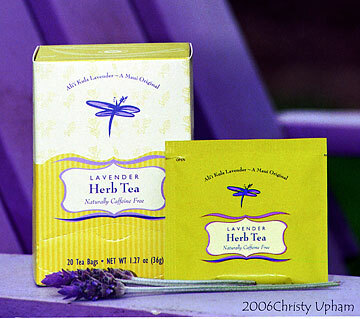 » Lavender Garden Tea Tour: 10 a.m. to 12:30 p.m. daily. 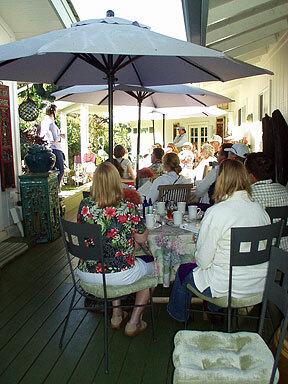 Includes orientation and garden tour, lavender hot tea and scones; 25-person limit. Costs $35 per person ($15 kamaaina); keiki 4 and younger admitted free. Reservations needed. » Lavender Garden Culinary Tour: Available on specific days from 10 a.m. to 1:30 p.m. Includes lavender hot tea, scones, lemonade, lavender herb-seasoned chicken salad and lavender rolls, orientation and garden tour, and culinary demonstration on how to cook using one or more lavender food products; 25-person limit. Costs $60 per person ($35 kamaaina); keiki 4 and younger admitted free. Reservations needed. Alii Kula Lavender Farm runs a monthly booth at the Saturday Farmer's Market at Kapiolani Community College. Hours are from 7:30 to 11 a.m. Call ahead to preorder products you would like, at (808) 878-3004. FOR CENTURIES, lavender and its lovely scent have been used for its relaxing aromatherapy properties and to add flavor to cooking. Its use dates back to biblical times, when lavender oil, known by the name "spikenard," was so expensive it took nearly a year's salary to obtain just a few ounces. The name "lavender" comes from the Latin word "lavare," meaning "to wash." In Roman times, it was used as a bathing ritual herb. The ancient Egyptians used the oils for mummification. It is also believed lavender oil was used by Mary Magdalene to anoint Jesus' feet before he was crucified (John 12:1-8). The flower and oil are also recognized as an insect repellent, antiseptic and skin moisturizer. But it's the flower's appearance that is most attractive to me, because of its ability to add a lively splash of color to any occasion. The aromatic scent -- which helps to calm nerves and relieve stress, insomnia, tension and anxiety -- is an added bonus. Recently, my aunt invited me and my mom to visit her family in Maui for the weekend and to spend the day at the Alii Kula Lavender Farm. She certainly didn't have to ask twice. We were excited about the trip as soon as we visited the farm's Web site. 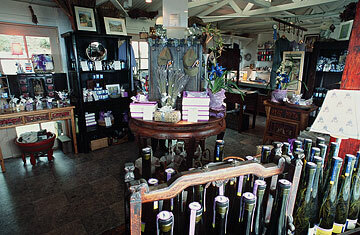 The farm opened in February 2002 and is owned by Alii Chang, Marseu Simpson and Lani Weigert. Chang, who once owned Alii Gardens in Hana, is now the Lavender Visionary. Growing lavender literally came to Chang as a gift. When he sold Alii Gardens, there was a non-compete clause, so he could no longer work with tropical flowers. While looking for a new crop, Chang was given a potted lavender plant as a gift. To his surprise, the plant flourished in Kula's climate and soil, so he decided to plant more. 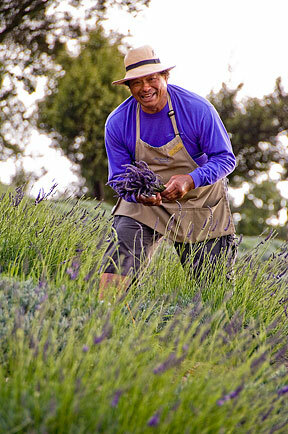 Lavender is not indigenous to Maui, but it does very well growing on the slopes of Haleakala. 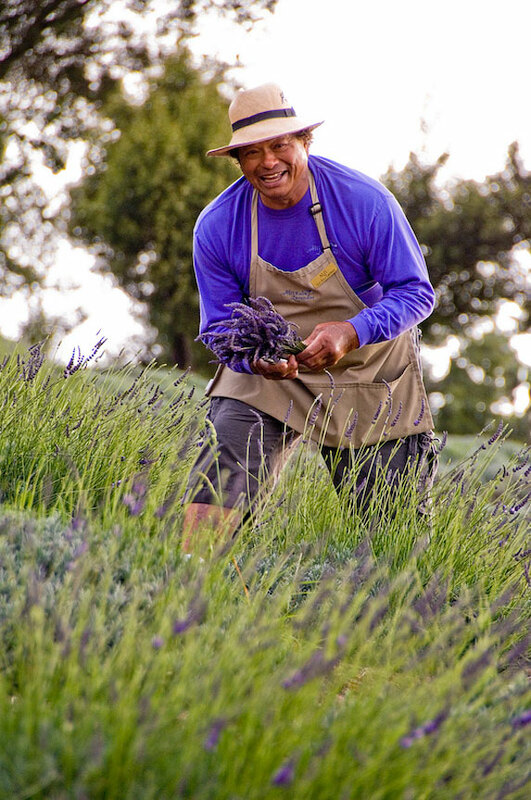 Lavender typically blooms only in the spring and summer, but certain varieties bloom year-round at the farm. 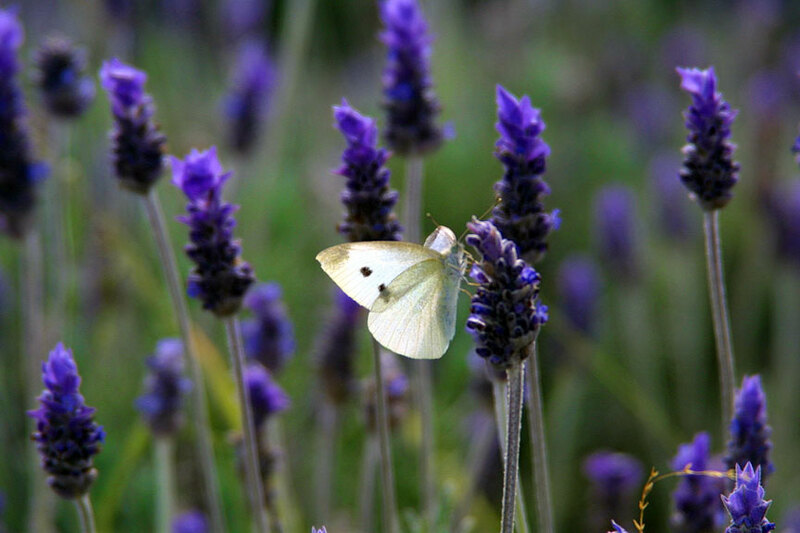 Once established, the lavender grows like a weed, making it a farmer's perfect crop. 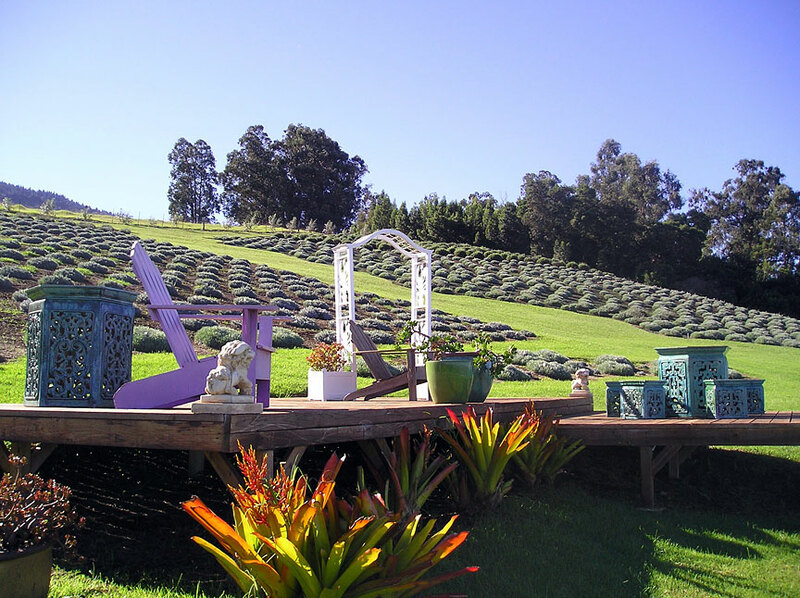 THE FARM is nestled at 4,000 feet above sea level on Haleakala, overlooking the ocean and mountain slopes, on more than 10.5 acres featuring 45 varieties of lavender plants, 55,000 in all. In April and May, a trek up the mountain includes a view of big, bright, lavender-colored flowering trees all along the roadside. According to Lani Weigert, director of marketing and public relations, the farm receives about 30,000 visitors annually, of which more than 80 percent are Hawaii residents. A number of awards attests to the farm's beauty. 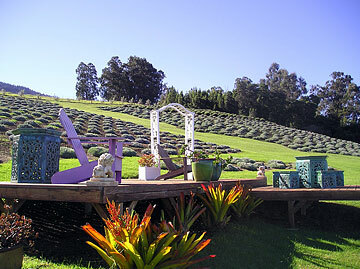 Among them are the Scenic Betty Crocker Award in 2005 in recognition of its "unique landscaping and design" and 2006 Best New Farm Operation in Hawaii by the state Department of Agriculture. Our visit took place on Mother's Day, and for those who want to plan ahead for next year's occasion, it's full of pampering and fun from start to finish. We decided to make it a mother-daughter tradition for years to come. Other tours are offered regularly and seasonally. (See the accompanying information box for a complete description of all tours.) A monthly calendar is also posted on the farm's Web site, www.aliikulalavender.com, under the "What's Happening" section. Wedding packages are available, with accommodations for up to 125 guests, for those seeking a private and romantic spot to tie the knot. For other gatherings, the Garden Gazebo in an area dubbed Wahilani (Heavenly Place) is available for special events such as bridal or baby showers, birthday parties, or tea parties hosting up to 15 guests. A gift shop offers all things lavender to take home, including culinary, bath and body, and aromatherapy products, gift baskets, scented note cards, dried bouquets and logo wear. For chocolate lovers, there are lavender-chocolate truffles and cookies. There is also a "Lavender Break" self-serve bar that offers the farm's renowned lavender scones, hot lavender tea and refreshing lavender lemonade. For those who can't jet over to Maui, an online store at www.aliikulalavender.com/products.html makes shopping easy. PARENTS WILL probably ask, "Could I bring my children?" 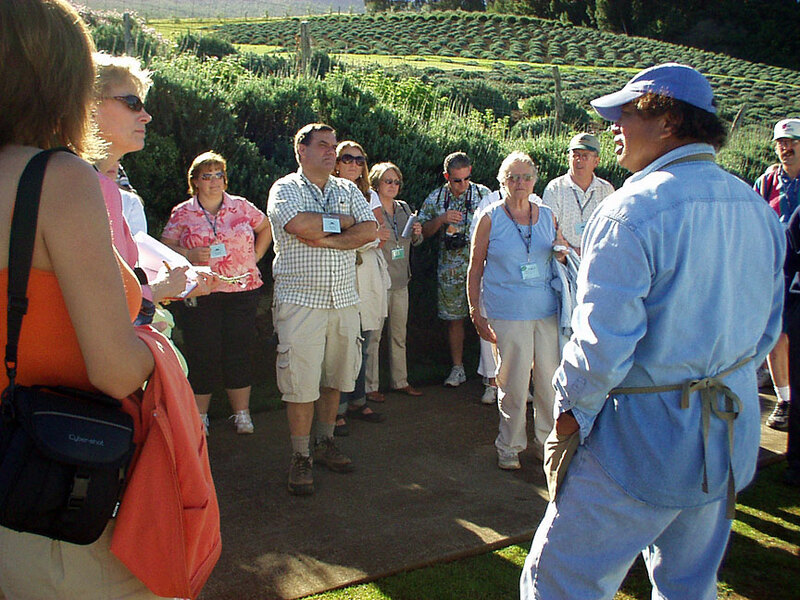 Tours are structured to let every participant enjoy the lavender. Use your best judgment in considering whether your child will enjoy the experience and be able to conduct themselves appropriately among adults. Educational school and youth tours geared more toward a hands-on experience are offered regularly throughout the year to help kids learn at their level and may be more enjoyable to them. The farm is also accessible to the handicapped, with a new tour cart specifically designed to carry wheelchair-bound and disabled guests in style and comfort.